Chuckit! Sport Medium Ball Launcher enhances games of fetch with your dog by allowing farther throws with less effort. The elegant arc of the launcher and its extended design allow for more force to be added to each throw. The cup at the end makes it easy to pick up any medium sized Chuckit! 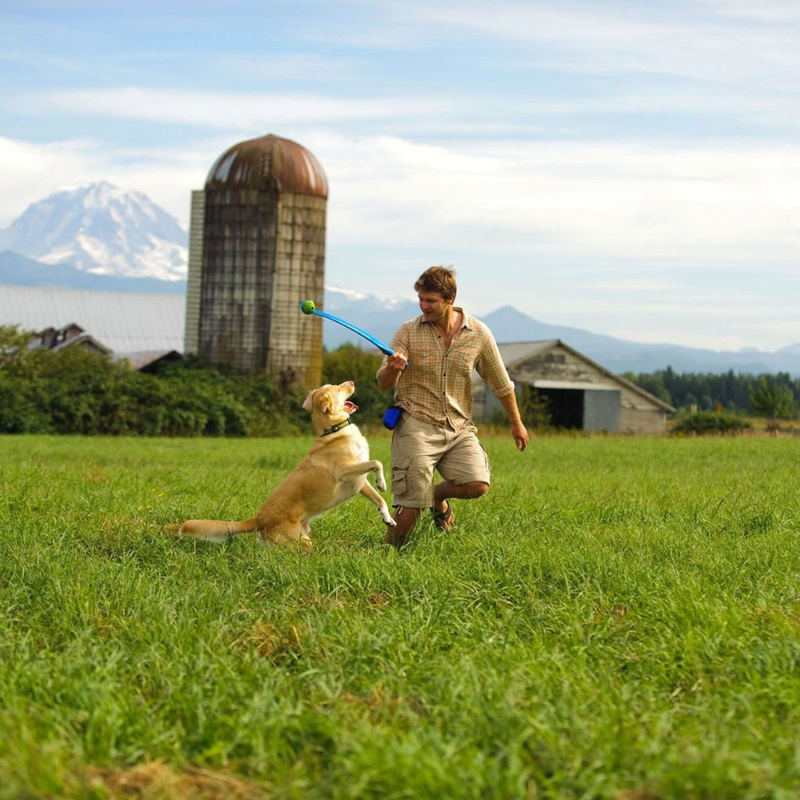 ball or any standard tennis ball without needing to touch the ball- saving you from the unpleasant feel of doggy saliva. Chuckit! 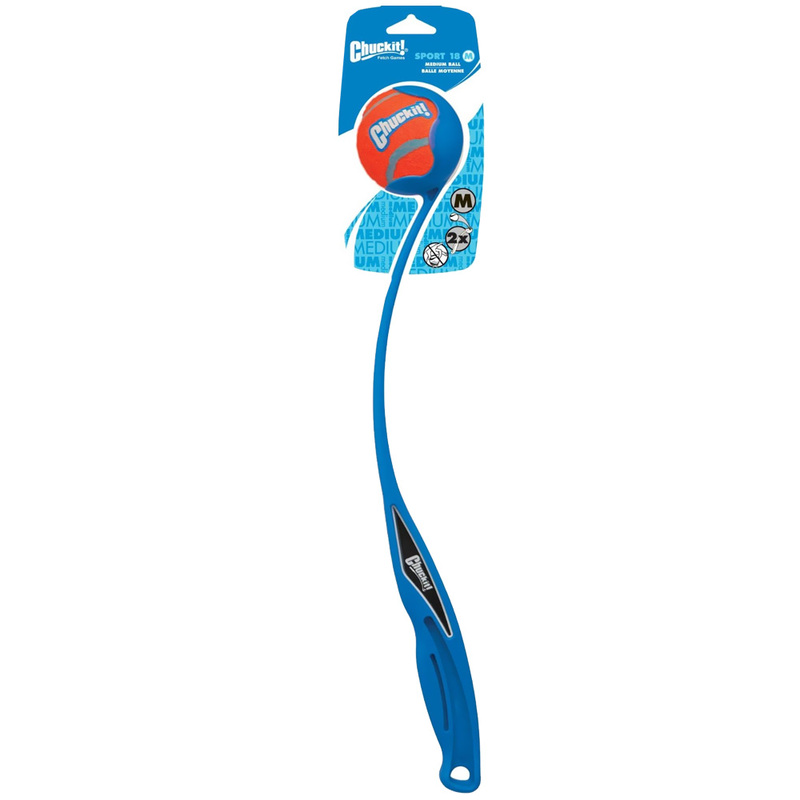 Sport Medium Ball Launcher comes with a medium Chuckit! tennis ball so that you can play a game with your dog as soon as it arrives. This particular model of the launcher is eighteen inches long- but a 25-inch model is also available for farther throws. 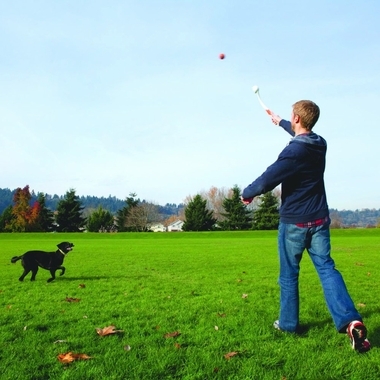 Your dog will love the extended throws and games that you can play with this easy-to-use product, so order now! WARNING! For Supervised play only. 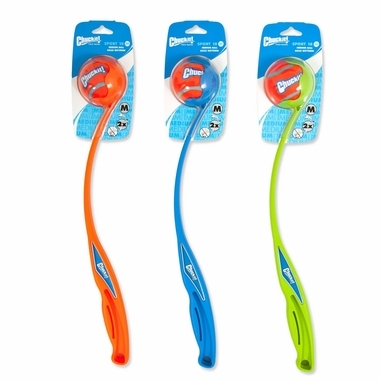 Use only standard tennis balls or Chuckit Brand balls manufactured for use with this product. High speed flying balls can cause injury to people or animals. Do not aim or throw directly people or animals. Be alert, ball may travel in unanticipated directions. Not for indoor use. Know your dog and choose the appropriate size and type of toy to prevent choking or other harm. Inspect this toy regularly; if toy is damaged or if parts become separated, remove toy and parts as injury may result. Not a child's toy.